Founded as an F&B operator in Malaysia in May 2013, with objective to become a niche operator in Japanese lifestyle dining business. At Nippon Delicious, we are totally committed to offer quality, customer service and innovative dining experience. Our portfolio comprises Bari-uma Ramen and Kodawari Menya Udon. We also expanding our portfolio into café, yakitori, sushi in the near future. 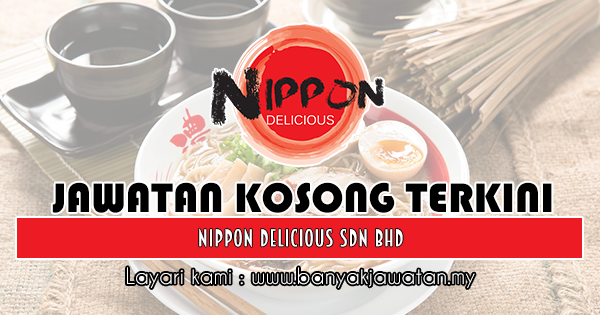 Nippon Delicious look forward to introduce great Japanese dining experience for all customers..
0 Response to "Jawatan Kosong Terkini di Nippon Delicious Sdn Bhd - 11 Februari 2019"